Insulation is what keeps the water in your hot tub hot. It is designed to slow or stop energy from moving. In other words, it traps warmth in the spa and does not allow it to escape. Any shopper looking for a hot tub that will (usually) be placed outdoors and expected to heat 400 gallons of water and keep it hot year-round without breaking the bank is wise to consider all of the details that make that possible. 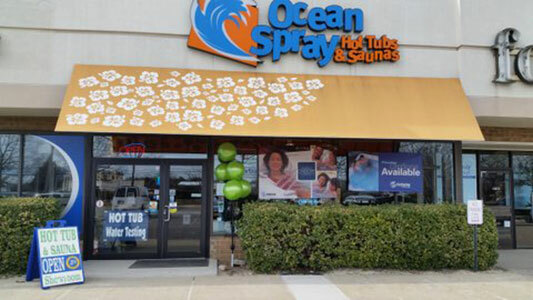 Ocean Spray Hot Tubs and Hot Spring Spas aim to keep you informed and able to make the best cost-effective purchase for your home. Insulation is a key factor differentiating hot tubs of various quality levels. Better insulation reduces the amount of work your spa has to do to heat the water and keep it hot. Water that stays hot not only increases owner enjoyment it also lowers energy use – and therefore your utility bill. In a hot tub that is uninsulated, thinly insulated, or poorly insulated, heat from the water escapes to the perimeter and is lost to the environment. This presents the owner with a triple disadvantage. In other words, you’ll wait longer for your spa to reach your preferred temperature, you’ll pay more for that time and energy, and you could very well need to replace key components sooner. A hot tub that doesn’t run well, requires more work or breaks down faster is a hot tub you won’t want to use. One that keeps its heat and works well over time invites you to incorporate the healthfully beneficial hot tub experience in your daily routine. THE BEST HOT TUBS USE THE SAME INSULATION AS INDUSTRIAL FREEZERS. Since insulation directly correlates to daily and long-term operating costs, a person who wants the lowest cost of ownership is going to be happiest with a unit that has the best hot tub insulation that is available. Although it’s particularly important to purchase a well-insulated hot tub if you live in an area that is subject to freezing temperatures at any time during the year, the bottom line is that a well-insulated hot tub will cost less to operate in any climate. Read more: The top five questions to ask before you buy a hot tub. HOW IS A HOT TUB INSULATED? Since heat rises and water evaporates, the most important part of your hot tub’s insulation system is the cover. The best hot tub cover is made to fit your specific model, filled with high density foam, and kept in good condition (not water-logged). The cover should be cared for and not used as a table. Its life can be extended with cover protectant to mitigate the effects of UV rays over time. The center of a good hot tub cover is higher than the edges, to allow rain to run off and not puddle on top. The skirt should fully cover the hot tub shell. Most hot tubs are also insulated inside the walls of the cabinet. Cabinet insulation is often made of polyurethane foam, but can be made of other materials. The foam can be rigid (boards) or sprayed in. Like the insulation in the walls of your home, hot tub insulation varies in density. Heavier densities provide more insulation. We’ll cover other insulation materials in the next section. WHAT ARE THE DIFFERENT TYPES OF HOT TUB INSULATION? Inflatable spas and spa-in-a-box type models have no insulation at all. This is true even if the word “insulated” is in the name of the model. Some manufacturers use that word to describe the materials from which the cabinet or tub is made. Calling a plastic inflatable hot tub “insulated” is sort of like calling a corrugated cardboard box “insulated.” We aren’t really talking about insulation. An uninsulated spa may need to be brought up to your preferred temperature every time you want to use it, and it loses heat rapidly during use. Many popular lines of hot tubs are made with partial foam insulation. The insulation is placed on the outer wall of the spa shell. This insulation may be rigid foam boards (which can become brittle over time) or sprayed-in foam, and can add some structural strength to the spa and components. Inside the inner wall of the spa shell is a layer of air. Since the insulation does not fill the cabinet and the cabinet itself is not airtight, warm air escapes into the atmosphere around the hot tub. In a hot tub that uses air-blown jets even more air is pumped in from outside, further cooling the water. Partial foam was the industry standard for many years. 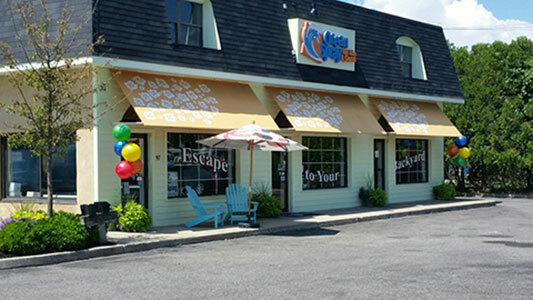 Although this type of spa is much more energy efficient than an inflatable or wood-only hot tub, it is much less efficient than a full-foam spa. Partial foam hot tubs are still manufactured today, mainly because they are cheaper to manufacture than full foam hot tubs. A manufacturer must undertake an enormous expense to upgrade its facilities and equipment in order to fully foam hot tubs. Not all have chosen to make that investment. Thermal wrap (or thermal blanket) insulation is essentially a reflective material that is installed around the entire perimeter of the inside of the spa cabinet. It can be used alone or in combination with partial foam (sprayed in). A thermal wrap will reflect some heat back into the spa, but not enough to keep the water at hot tub temperatures. Some swim spas are insulated with thermal blankets. The water temperature in a swim spa needs to reach about 80 degrees, versus 102 degrees in a hot tub. Among leading hot tub manufacturers, full foam insulation is the industry standard. The reason is simple: full foam is much more energy-efficient than partial foam (using half or less the energy of a partial foam tub), so the customer ends up with a better hot tub that is cheaper to use. The hot tub industry knows that one of the biggest obstacles preventing consumers from enjoying a personal spa of their own is the cost to own and operate the unit over time. Much research and development has been dedicated to advancements that lower those costs. The introduction of full foam insulation was a huge step forward. In a fully insulated hot tub, the interior of the cabinet is filled (the foam is sprayed in). This not only keeps the heat in, it also adds structural support to the spa, which lengthens the life of the components. This is a key benefit of full foam insulation. Running the hot tub motor, pumps and jets causes vibrations that can lead to wear and tear on the components and plumbing. Full foam encapsulates the components and reduces vibration, drastically lowering the incidence of component and plumbing failure. For example, a pipe fitting can’t work itself loose over time because it is surrounded by rigid foam and there is nowhere for any piece of the fitting to go. As a class, fully foamed hot tubs cost more than partially foamed hot tubs. Insulation adds cost to the manufacturing process. The two most important elements of hot tub insulation are the cabinet insulation and the cover. Leading hot tub manufacturers enhance insulation in other ways, too. Here are other features you should consider when you compare models. Some spas enhance insulation by adding a base pan to the bottom of the hot tub that limits ground contact and further reduces the intrusion of cold air. Spas that don’t have a base pan may use a special type of plastic sheeting to seal the bottom, or may have no seal at all. The lightweight polymeric substructure and heavy duty base pan are unique to the Hot Spring Highlife NXT® Collection of hot tubs. Spa components generate heat just by running. On many spas, this heat vents to the outside and is lost. On a premium spa, a pump shroud captures this excess heat and transfers it to the water. The pump shroud also pulls outside air in to cool the pump and prevent the risk of overheating. The Hot Spring patented pump shroud is a feature available on the Highlife® and Highlife® NXT Collections. Compare spa models here. A reflective winter blanket can be placed inside the equipment compartment to protect the equipment from freezing. This accessory is most useful for owners who live in extremely cold climates (Scandinavia, for example). The winter blanket does not help your hot tub keep the water hot. A floating blanket can be placed on the surface of the water. If you have a well-fitting cover in good condition, the floating blanket is redundant and will not measurably increase heat retention. Nonetheless, this can be a convenient accessory for reducing heat loss and debris intrusion when the cover is off, such as for owners who don’t want to repeatedly remove and replace the cover during short intervals between uses. Some owners also say that their floating blanket reduces evaporation, which may extend cover life if the blanket is used in combination with the cover. All hot tub salespeople have their preferences when it comes to recommending one model over another, and some of them make claims that aren’t supported by facts. We’re the world’s leading hot tub manufacturer, and we know hot tubs. We want to dispel a few myths you may have heard about hot tub insulation. Fact: Full foam insulation adds such a significant amount of structural support that leaks are far less likely to occur in the first place. A salesperson who emphasizes repair issues may be accustomed to selling spas that frequently need repair. If a repair is needed in a fully foamed hot tub, a trained technician can locate and correct the problem. Imagine telling yourself, “I want this luxury car but I’m not going to buy it because someday it might have a problem and I heard repairs are expensive.” Most premium goods buyers just don’t make their choices this way. While it’s true that addressing an equipment problem in a fully foamed tub is more labor intensive than doing so in a partially-foamed tub, the chance of an equipment problem in a model made by a top hot tub brand is remote and not a logical factor in the purchase decision. Note that FiberCor® is a great alternative to full foam insulation, in part because it has the added benefit of allowing easy access to components that require service. In the event of a leak, the water is wicked straight down, making the location of the leak very easy to find. Then, the technician can easily remove a portion of the non-toxic FiberCor®, complete the repair, and replace the FiberCor®. The fibers do not stick to the plumbing or components. Fact: In a multi-density, full-foam hot tub, a layer of extremely high density foam seals the bottom of the spa. A rodent cannot enter. The material is synthetic and not tasty to critters looking to eat their way into a new home. Rodents do love warm, small spaces, but they’ll have a hard time finding one in a fully-foamed hot tub. Fact: Hot tub insulation, like the insulation in your home, protects the equipment inside. The quality of the components and engineering determine the risk factor for overheating. 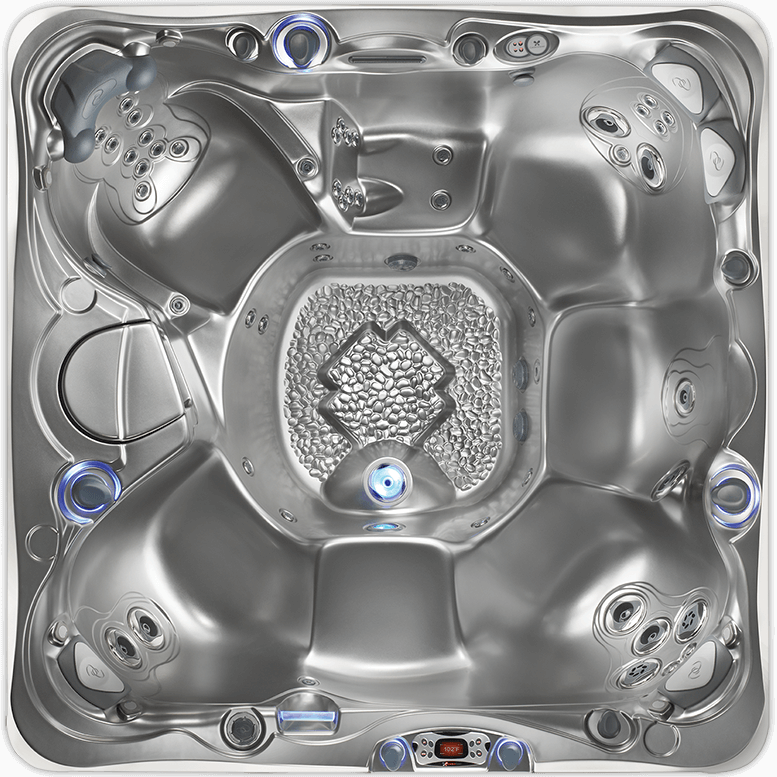 A hot tub made by a leading manufacturer has a low likelihood of defects that lead to overheating. Fact: All full foam is not created equally. Hot Spring Spas’ multi-density full foam insulation is engineered for minimal expansion and contraction. FiberCor® is not subject to expansion and contraction. Your hot tub is meant to be enjoyed often. Insulation is paramount to a long-lasting, quality hot tub ownership experience. Remember, a hot tub can be “insulated,” but not fully insulated. A hot tub can also be full-foam, but with only a single density. Even though hot tub manufacturers know that full foam insulation lowers operating costs, some continue to manufacture no-insulation and partial-insulation models in order to compete at a lower purchase price. This strategy does not serve the hot tub owner. Although you’ll walk away with more money in your pocket, it will be spent (and then some) on using the spa. Some hot tub manufacturers offer basic models with no insulation or partial insulation in order to bring customers in the door with the promise of a low purchase price. Full foam insulation is then sold as an upgrade, a sort of backdoor method of getting the customer to pay more for a full-foam tub. Finally, don’t confuse “CEC certified” with “energy efficient” or “well insulated.” CEC certification has nothing to do with the insulation quality. It relates to the amount of power the hot tub uses in standby mode, not the amount of energy required to retain the heat during normal use. Take a look at the helpful resources we’ve compiled on our Hot Tubs 101 page for more tips on finding the right hot tub for your family. The only way to find out how much energy a hot tub will use is to test it under normal operating conditions in various temperatures and climates. We’ve done that. Check out our online hot tub cost estimator to find out how much you might pay to operate an energy-efficient Hot Spring spa in your area.